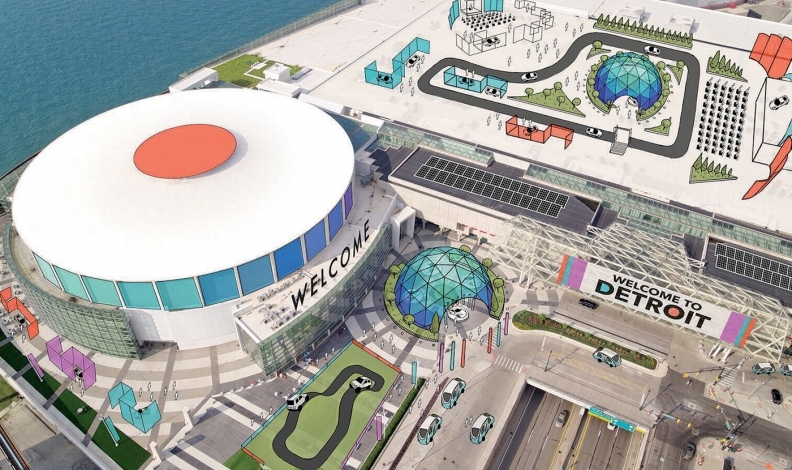 DETROIT — The Detroit auto show is undergoing a drastic reorganization in 2020, when it will move from the dead of winter to early June to better appeal to car shoppers — and the growing list of automakers that have dropped out in recent years — with outdoor displays and on-road vehicle demonstrations. But whether the move can reinvigorate the show, which draws more than 800,000 attendees and is estimated to contribute nearly US$500 million to the local economy, as more automakers reveal their latest models at alternative venues is less clear. Rod Alberts, the show's executive director, thinks it can. 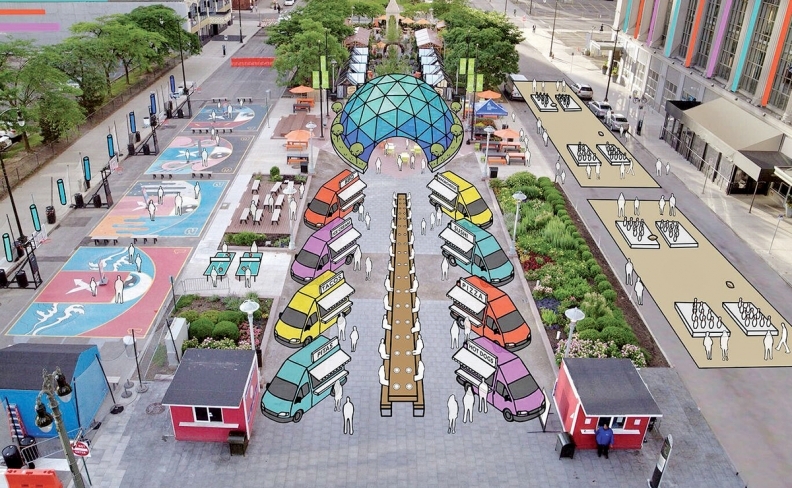 A presentation shared with Automotive News and Crain's Detroit Business ahead of an announcement planned for Tuesday, July 24, depicts automaker-sponsored outdoor concerts and vehicle displays in the long, riverfront plaza that stretches toward General Motors' headquarters; presentation space and food trucks near a busy park in the centre of the city; and test-drive courses on the convention hall's rooftop parking lot. 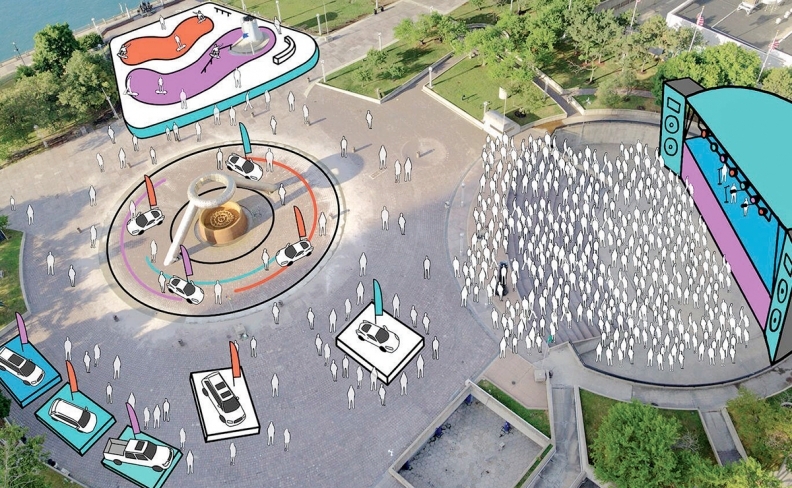 It also shows water taxis ferrying passengers between the main show floor and events on Belle Isle, an island park in the Detroit River. ... and presentation space and food trucks near a busy park in the city. 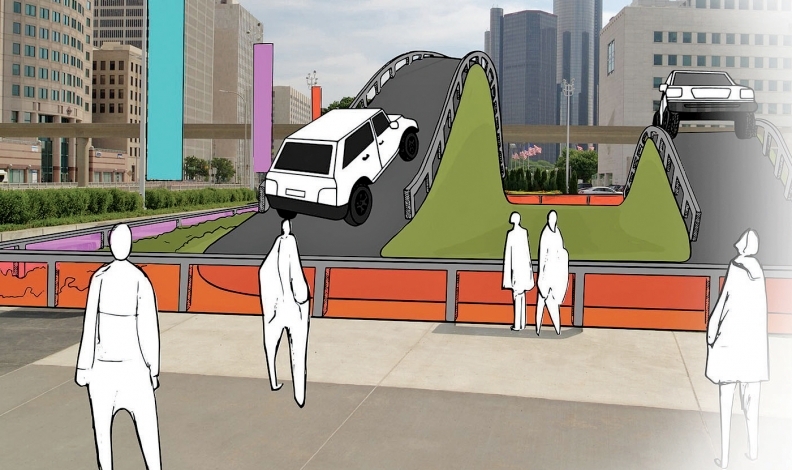 Show organizers envision an outdoor road course as part of the retooled Detroit auto show.